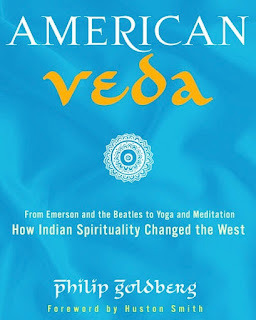 I met and listened to Phil Goldberg talk about his book, "American Veda" at the Yoga Bharati Int'l conference recently. I was struck by his clarity of understanding. Who is a Rishi in the ancient Vedic tradion? What is this Vedic wisdom? First we need to break down the concepts and beliefs and look at these definitions from a broad prospective. Both the Hindus and non-Hindus have confined themselves to narrow understanding of the Vedic tradition. Rishis are enlightened beings who convey the knowledge embedded in cosmic consciousness. They discover consciousness which then becomes an experiential reality. Now tell me haven't we Rishi of many nationalities in the world? Who is a Yogi? A Yogi is one who has united with his consciousness. Or a Yogi is one who has a strong yearning for liberation, who has made this as his sole goal in life, and so everything he does is for this purpose. Now tell me aren't there Yogis amongst you in almost every country in the world? What is "Hinduism"? Or as I like to call it, what is this Vedic tradition? The Vedic tradition is universal and global. It is the eternal knowledge on the laws of nature, on man, creation, and consciousness. Vedic tradition has a methodology for an individual's enlightenment. There are other methodologies, but the methodology according to the Vedas and Bhagavat Gita is that which takes one from ignorance to enlightenment. It begins with reducing the desires and impurities through removing selfishness and attachment. This is Karma Yoga. Viewing actions as service to others and God. The second stage is to bring clarity and faith, this brings tranquility to the mind further reduces deep impressions and tendencies that drive egoistic actions. This is Upasana, which is spiritual practices and worship. Once this preparation is done and the ego is dissolved to a great degree the seeker is now ready for the knowledge of the Self. This last phase involves receiving the knowledge first, reflecting on the knowledge and then making it an experiential reality. Essentially going from the head to the heart. While the Indians think they are the forebearers and guardians of this Vedic tradition and one has to be born a Hindu, there are many Indians who neither have knowledge nor practice this tradition. In the west, while there is apprehension and fear of betraying the religion they were born into, many are being influenced by Vedic wisdom and experiencing consciousness, it is natural. There are no boundaries for cosmic consciousness, nor for the eternal universal laws of nature. It is us humans who put labels and confine to the identities we define for ourselves. It is natural for a human to go through a certain evolution. Some people are doers, they like to work and do service, that's fine. They are Karma Yogis. Some are emotional and for them devotion comes naturally. These are Bhakta Yogis. Some are disciplined and can do a lot of Yoga asanas, Pranayamas, meditation. These are Raja Yogis. Some are thinkers, intellectuals and go deep into consciousness through knowledge of the Self. These are Jnan Yogis. Now tell me don't you see these kinds of people in every country in the world? So then you realize that the Vedic tradition and wisdom is not about rituals, going to the temple, or certain festivals, etc. alone. Each spiritual tradition has these aspects but in the ancient Vedic tradition the main aspect, the ultimate goal is self realization. Knowing who you are, and becoming That. The Indians are followers and hold on to the past as the authentic. The key for them is theory, knowledge, sticking to tradition, practices and rituals, more than the freedom of individual experience. The west, or the new age, is all about independent thinking and experience, it often diverges from the authentic knowledge, or dilutes and sometimes even corrupts it. 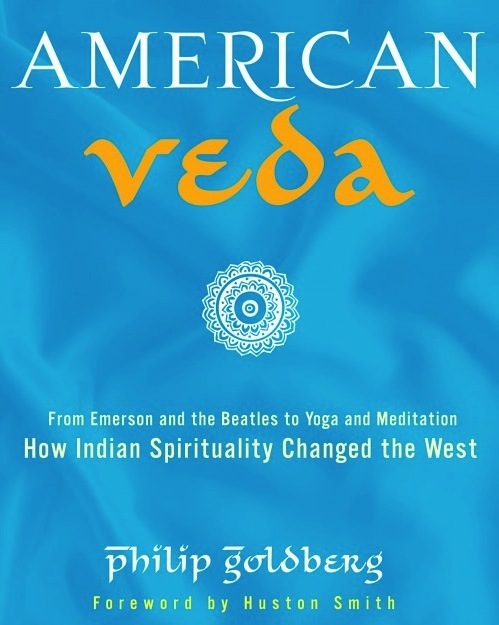 There are many versions of the Vedic tradition in our age which have westernized or modernized it and in the process mutated the original form. This is going to lead only to confusion not evolution, because ultimately truth is one and one can't change it. Then there are Indian Gurus who have kept the authenticity and also modernized and westernized it. That is a skill and only one who has mastered the Vedic knowledge can do this. There is a word of caution here for the new discoverers of consciousness, that is to also be guided by ancient knowledge of earlier enlightened beings. If that foundation or basis is missing it will only lead them and others they guide astray and confused. So we need a synthesis and coming together of the east and west. While we keep the eternal knowledge in tact, we also need to have experience of this knowledge. The Rishis amongst us are those who have this synthesis. Rishis are not just those who are in the history books. Rishis are born in every age, around the world. In the ancient days there were Rishis around the world, not just India and so it'll continue to be so whether or not Indians consider them Hindu or not. On the other hand whatever knowledge or wisdom is universal, eternal, common to all mankind also comes under the umbrella of Vedic knowledge. It's not that Hinduism is confined to the books that have been written. It has the texts that were revelations of enlightened beings, the Vedas, and also thousands of texts which were written by sages over thousands of years. Each having the freedom to express their own ideas, philosophies and interpretations, as long as it conferred to the ultimate knowledge in the Vedas. The same can continue today in a global fashion, where seers from diffierent nationalities can express themselves and give knowledge to the world, if it is synonymous with the eternal universal knowledge as in the Vedas. Vedas don't belong to Hindus, or Indians, or planet earth for that matter. Consciousness is truth, infinity, and knowledge. That knowledge happened to be captured in these ancient texts. Consciousness is One. Consciousness is not confined to religions on planet earth, it goes beyond even the boundaries of creation. The Sun of Consciousness is rising in the West.